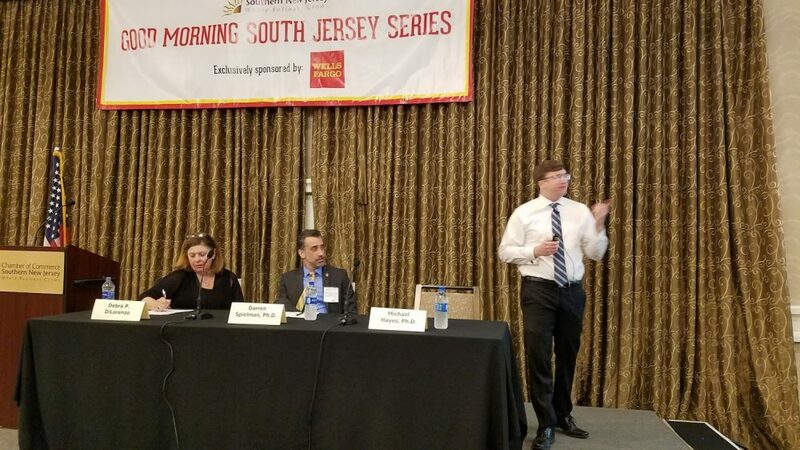 WRI Faculty Fellow Michael Hayes and WRI Executive Director Darren Spielman presented the Institute’s Our Piece of the Pie study as part of the Chamber of Commerce Southern New Jersey’s Good Morning South Jersey Series. The study, examining the distribution of state funds to municipalities across NJ regions, finds that the 10% poorest municipalities in South Jersey receive substantially less state aid than comparable municipalities to the north. The study also finds that municipalities with higher property tax revenue receive more state aid. The large crowd at the Westin Mt. Laurel was engaged, asking questions of the WRI presenters until the event was closed for time. 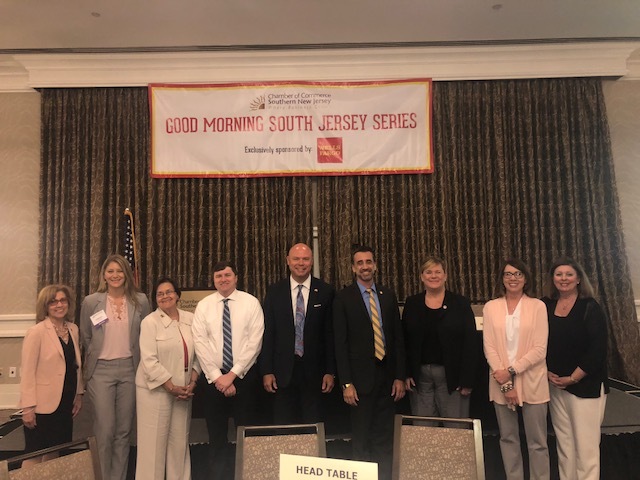 Among those attending were Wells Fargo South Jersey Regional President John Zimmerman, Assemblywoman Pat Egan Jones, and new Dean of the Rutgers-Camden School of Nursing Donna Nickitas. 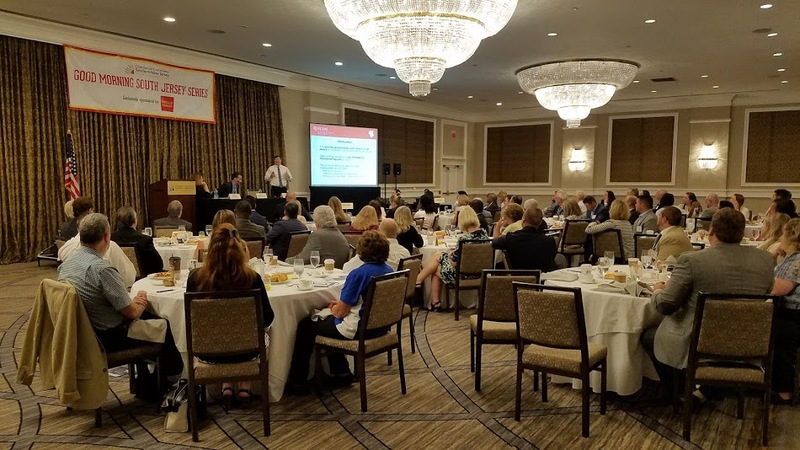 WRI presents the research at a Cumberland County Chambers and Cumberland Development Corporation event on July 31. 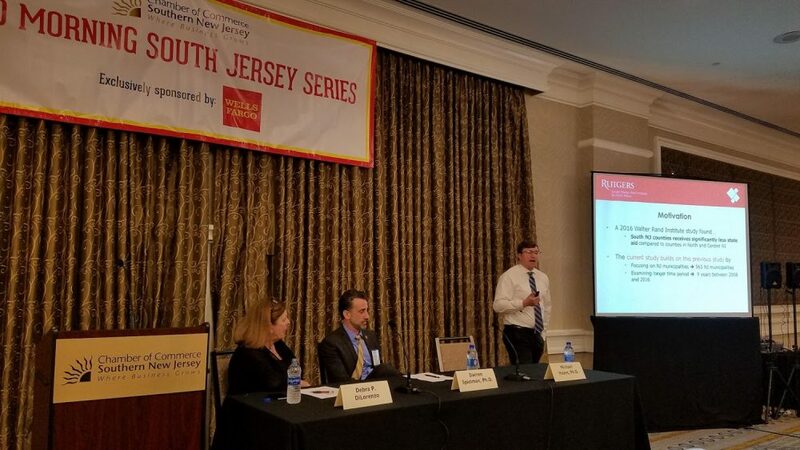 Follow-up conversations to inform action will take place with the Chamber of Commerce Southern New Jersey in September. Page last updated by Senator Walter Rand Institute for Public Affairs at 9:22 am August 7, 2018 . This page was printed from http://rand.camden.rutgers.edu/2018/07/30/our-piece-of-the-pie-chamber-of-commerce-southern-new-jersey/ at 5:03 PM Monday, April 22, 2019.